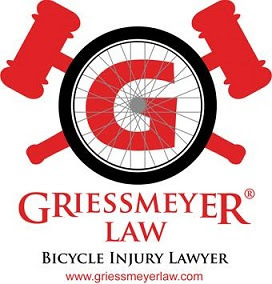 The push for stiffer penalties for drivers who hurt bicyclists and other vulnerable users of the roadways did not pass and make it into law. However, the legislature did pass a new law requiring driver's education classes to acquaint each student with the hazards posed by motor vehicles to vulnerable highway users and provide at least 30 mins of instruction in safely dealing with these hazards. Vulnerable users includes; 1. pedestrians; 2. bicyclists 3. operators of mopeds and motorcycles 4. animal drawn vehicles and farm tractors, 5. in line skates 6. police, fire, emt while performing duties, 7. any person rendering medical assistance to another person. It's nice to know new drivers will be getting this education. It would be interesting to compare crash facts and see what percentage of drivers who injure vulnerable users are new/inexperienced drivers.